Huge participation resonates the positive market mood driven by large scale infra development across all sectors, while OEMs increase focus on technology for higher productivity and uptime of machines. bauma CONEXPO INDIA scaled new heights as about 700 companies from 26 countries presented their machines, products and innovative technologies in 195,000 sqm of exhibition space (30% percent more than the previous edition), and a gathering of over 39,173 (20% more) leading industry professionals. "As India's construction machinery market booms, so does bauma CONEXPO INDIA, thanks to the government’s transport and infrastructure initiatives," commented Bhupinder Singh, CEO of bauma CONEXPO India. 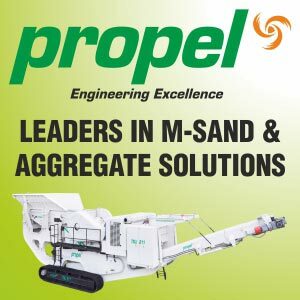 "Together with our strong partner iCEMA (Indian Construction Equipment Manufacturers Association), we offered an excellent platform for the CE industry to present its products and services to the market. The partnership was crucial for our success and allowed us to align even more closely with the Indian construction machinery industry’s needs. For me, as an Indian and a cosmopolitan, it is not only a collaboration on a professional level, but also a matter close to my heart," he added. Arvind Garg, President of iCEMA, stated: "iCEMA partnered with bauma CONEXPO INDIA for the first time. In fact, all our 70 members participated and connected with their valued customers, especially those from north India. Following the great success of this edition, we foresee our partnership with bauma CONEXPO INDIA maturing into a mutual beneficial relationship for the CE industry." Apart from Indian visitors, the trade fair also welcomed buyer delegations from Bangladesh, Bhutan, Nepal, Sri Lanka and other countries in the region. The Indian subcontinent offers excellent opportunities for doing business in the construction industry. Major infrastructure projects, the booming transport sector and urban development are some of the driving forces of the market. Rtn. Er. A. Puhazhendi, National President of joint organizer BAI (Builders Association of India) emphasized: "For our member companies throughout India, bauma CONEXPO INDIA is a must-attend event to stay informed about latest industry trends and new technologies." With a larger exhibition space to accommodate a bigger number of exhibitors, and increasing visitorship, bauma CONEXPO INDIA reflects the growth momentum of the industry. Vipin Sondhi, Managing Director and CEO, JCB India, commented: "We are participating for the fourth time in bauma CONEXPO INDIA. In the edition too, we had a good number of meetings with business partners and potential clients. We have seen exponential growth of the trade fair and are looking forward to participating in the next edition." By 2025, India is expected to become the third largest market for the global construction industry. This growth is mainly attributable to large infrastructure projects. Over the next nine years, analysts expect an average real growth of 6.2 percent per year with bulldozers, backhoe loaders and crawler excavators set to see a massive increase in sales over the next five years. The show once again featured renowned companies such as ACE, Ajax Fiori Engineering, Case, Caterpillar, Doosan Bobcat, JCB, Kobelco, L&T, Liugong, PERI, Putzmeister, Sany, Schwing Stetter, Volvo, Wirtgen, Zoomlion and many more. First-time exhibitors included Indian manufacturers Tata Hitachi, Escorts and the German company Kaeser Kompressoren. "We are participating in all bauma expos around the world. This platform is helping us get enquiries from our customers and to learn about the Indian market," said Marco Angermueller, Kaeser’s Global Sales Product Manager. For the first time, bauma CONEXPO INDIA featured a Buyer Seller Forum, which gave visitors an additional chance to network with potential business partners. The initiative proved to be a success and brought together technology providers and buyers in 3,023 meetings. Commented Shashi Gaggar, Vice President, UltraTech: "As a regular visitor to bauma CONEXPO INDIA, I truly appreciated the organiser’s initiative in organizing the Forum as I had some very fruitful discussions with potential clients. Such a Forum will encourage business associations and deals between sellers and buyers, which will increase the value of the tradeshow in the long run." bauma CONEXPO INDIA CEO Bhupinder Singh is already looking forward to planning the next show: "We will continue to work closely with the industry for further growth in the future, and will conceptualise new and more exciting ideas for the CE industry participants in the next edition, which will take place in 2020 in Gurgaon/Delhi."